If you have a York aircon in Singapore and you require quality aircon servicing or repair, we are able to help. At Wei Wei Aircon, we are one of the qualified York aircon servicing Singapore company. With the rising heat and temperature in Singapore, air-conditioner is an essential electrical appliance that can keep us cool during the hot weather. Hence, it is essential to engage professionals for regular servicing of your York air-conditioning system. Other than that, if you have encountered any aircon problems in your air-conditioning system, it is best to engage professional York aircon Singapore Company to repair your units. York has been one of the leading air-conditioning manufacturers for residential, commercial and industrial premises. It is well-known for its quality and reliable air-conditioner that we can trust on. Being one of the leading air-conditioning manufacturers, York have been constantly integrating the latest technology into their air-conditioner. York has been producing new air-conditioner models which have improved on its energy efficiency and noise level. 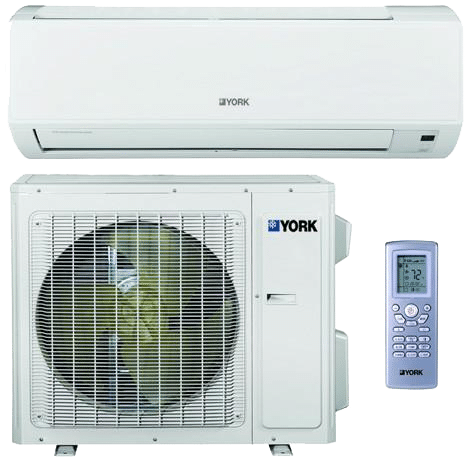 These have caused York air-conditioning to be popular among locals’ household and commercial office where you can see many premises are installing York air-conditioner in Singapore. If you have been using York air-conditioner, you should have already experienced the new features and technology that are integrated into the system. Furthermore, these York system is manufactured to withstand harsh weather and demands such as constant air-conditioning usage for homes or offices. Hence, you can trust in the quality and reliability of your York air-conditioning system in Singapore. Despite York air-conditioning units are manufactured to last and withstand from harsh weather, it is still essential to engage regular servicing to upkeep the condition of your air-conditioning system. With our quality York aircon maintenance services, our experienced and qualified aircon technicians will arrive at your doorstep and perform routine checks and servicing such as cleaning of the evaporator coil, ensuring different components and electrical contacts are in good condition. Regular servicing is important to ensure that your air-conditioning system is being cleaned and serviced professionally. This will keep your units in good working condition and ensure they are able to operate smoothly and reduce the possibility of system breakdown. During the servicing, routine checks will be carried out. This will ensure that potential issues will be detected by our technicians and repaired before the problems worsen which may result in a hefty repair cost. Hence, regular servicing and routine checks ensure that potential problems are being resolved before the problems become more serious which in some cases, it requires replacement of the faulty parts. Do your York system face aircon problems such as aircon blowing hot air, aircon switching on and off automatically, noisy aircon or smelly aircon? If not, do you feel that something is wrong or unusual in your air-conditioning system? Do not fret as with our York aircon repair services in Singapore, our qualified technicians will perform a thorough check on your system and diagnose the cause of your air-conditioning problems. After diagnosing the problem, our technicians will advise on possible solutions to fix the issues. With our years of experience and technical knowledge in repairing different types and brands of air-conditioner, including York aircon, we are your one stop aircon services contractor in Singapore. Furthermore, with our experienced and professional aircon repair technicians in Singapore, you can safely engage in our repair services when your York air-conditioning system starts facing problems. We believe that we are able to provide quality repairs for your York units and meet all your air-conditioning needs in Singapore. Contact us today if you require any aircon services for your home or office. Other aircon services that are popular among local households is the York aircon chemical wash. It is one of the most effective cleaning services in removing dirt, dust, bacteria and even mold. During the operations of your York units, there will be dirt, dust, bacteria or even mold accumulated around your system. If your air-conditioner does not have regular servicing, these harmful substances will start to accumulate. Hence there will be cases where general aircon servicing may not be able to improve the condition of the air-conditioning unit. In this situation, York aircon chemical cleaning is the most suitable aircon services to remove all these accumulated harmful substances. During the aircon chemical washing process, quality chemicals will be used. In the mean time, all the dirt, dust and bacteria, together with the chemicals will be flushed out. After the chemical wash, your York aircon will be as good as a new one where it will regain the cooling performance and efficiency of the system. Feel free to contact us to find out more about our York aircon chemical washing in Singapore. In order to keep your air-conditioner system in good working condition and long lasting, regular York aircon maintenance is vital. During aircon maintenance, regular servicing and routine checks will be performed to ensure that your units are in good working condition. Regular maintenance has many benefits such as improving energy efficiency, cooling efficiency, cleaner air, stronger air flow, extend lifespan, reduce the possibility of system breakdown and many more. Thus, if you are currently using the York air-conditioning system for your home or office, ensure that your air-conditioner system has regular servicing and maintenance. As mentioned above, regular maintenance will reduce the possibility of system breakdown which will help you to save a substantial amount of money in the long run despite the cost of regular maintenance. However, should you happen to face aircon problems for your system, it is best to engage a qualified aircon repair company to rectify your issues. At Wei Wei Aircon, we offer York aircon installation as well as installation for other air-conditioning brands and different types of air-conditioner such as wall mounted, ceiling cassette, ceiling suspended, ceiling ducted and many more. All our air-conditioning installer are certified, furthermore, they have the experience and knowledge in air-conditioning installation for residential, commercial and industrial clients. Other than installation, we also provide professional York aircon replacement services in Singapore. We are confident in meeting your needs with our experienced aircon installers. Hence, if you are looking for quality and reliable York installation aircon services or replacement services in Singapore, you can look for us. We are able to advise you on the type and brand of air-conditioner that will suit you and meet all your air-conditioning needs in Singapore. At Wei Wei Aircon, we provide servicing, repair, chemical wash, maintenance and installation for different types and brands of air-conditioning system, including York aircon Singapore. If you discover any unusual problems in your air-conditioning units, you can contact us and we will send our experienced technicians to have a look and we will advise on the necessary steps to rectify the issue and ensure that it is in good working order. Do not hesitate and contact us today if you require aircon maintenance servicing or repair services for your York system.